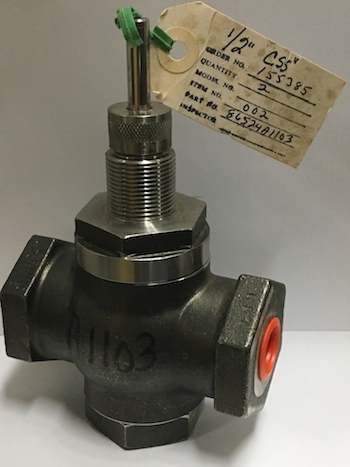 Robertshaw Industrial Controls Stainless Steel CSS Valve Body V86524-A1103. Valve is 1/2 inch. The Robertshaw Valve Body is NEW and unused. Click here to return to the full list of our Over Stock miscellaneous electrical parts.